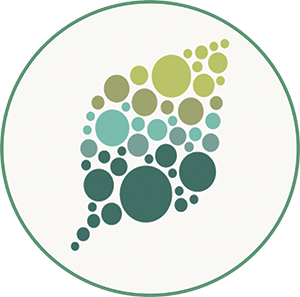 The phytohormone abscisic acid (ABA) regulates a variety of processes in plants including seed dormancy, seedling growth, and response to environmental stresses. A fascinating study by Ni et al. 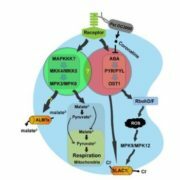 (2018) shows that ABA responses in rice are regulated by an interaction between the DMI3 kinase, which activates ABA responses, and the PP45 phosphatase, which inhibits these responses. DMI3 (doesn’t make infections) was originally identified as a Medicago truncatula protein required for successful nodulation by Sinorhizobium meliloti (Catoira, et al., 2000). 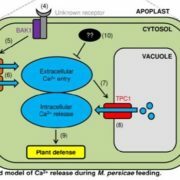 It was later shown to be a Ca2+ and calmodulin (CaM)-dependent protein kinase (Lévy, et al., 2004) that is involved in ABA responses in rice leaves (Shi, et al., 2012). To isolate rice proteins that interact with DMI3, the authors used full-length DMI3 as bait in a yeast two-hybrid screen of a rice leaf cDNA library. They identified PP45 as an interacting partner, and this interaction was confirmed by GST pull-down assays, bimolecular fluorescence complementation analyses, and coimmunoprecipitation experiments. 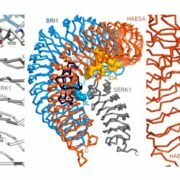 A more detailed analysis using deletion constructs revealed that these proteins interact via the CaM-binding domain of DMI3 and the PP2C (type 2C protein phosphatase) domain of PP45. 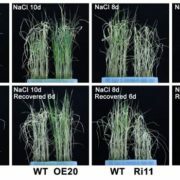 The authors then used overexpressing (OE) and knockout (KO) lines of both DMI3 and PP45 to examine the role of rice PP45 in the regulation of ABA responses. In the dmi3-KO and pp45-KO lines, the activities of both DMI3 and PP45 were undetectable. By contrast, the PP45-OE lines and DMI3-OE lines exhibited high expression levels of PP45 or DMI3 and high activities of PP45 or DMI3. ABA sensitivity in both seed germination and primary root growth was enhanced in pp45-KO lines, pp45-RNAi lines and DMI3-OE lines, and was reduced in PP45-OE lines, dmi3-KO lines and dmi3-RNAi lines. 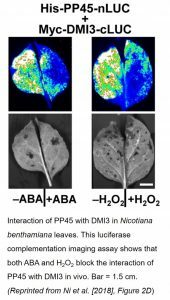 These results indicate that PP45 reduces ABA sensitivity in seed germination and root growth and that DMI3 enhances this ABA sensitivity. But what is the molecular mechanism by which rice PP45 inhibits DMI3-activated ABA responses? 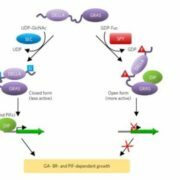 To address this question, the authors first showed that PP45 directly inhibited both autophosphorylation and substrate phosphorylation by DMI3. 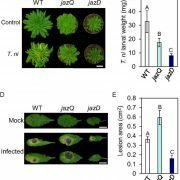 Then, they mutated DMI3 residues analogous to those that are important in autophosphorylation of Medicago truncatula DMI3 using both nonphosphorylatable (Thr to Ala) and phosphomimetic (Thr to Asp) site-directed mutants. They conclude that Thr-263 of DMI3 is critical for CaM binding to DMI3 and its subsequent activation. They also show that PP45 directly inactivates DMI3 by dephosphorylating Thr-263 in DMI3. 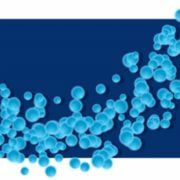 Additional site-directed mutagenesis experiments showed that two specific Cys residues were critical for the inhibition of PP45 by H2O2. Oxidation of these residues by ABA-induced H2O2 production resulted in the formation of intermolecular bonds that disrupted the PP45-DMI3 interaction that had repressed the activity of DMI3 in promoting ABA responses. Mutation of these Cys residues to Ser significantly blocked inactivation by H2O2. The authors conclude with a very nice model describing how, in the absence of ABA, PP45 binds to and inactivates DMI3 by dephosphorylating Thr-263. Subsequently, ABA-induced H2O2 production relieves this repression by inhibiting expression of PP45 and oxidizing critical Cys residues of PP45, blocking its ability to bind to and inhibit DMI3-induced ABA responses. Catoira, R., Galera, C., de Billy, F., Penmetsa, R.V., Journet, E-P., Maillet, F., Rosenberg, C., Cook, D., Gough, C., and Dénarié, J. (2000). Four genes of Medicago truncatula controlling components of a Nod factor transduction pathway. Plant Cell 12: 1647-1666. Lévy J, et al. (2004). 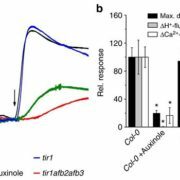 A putative Ca2+ and calmodulin-dependent protein kinase required for bacterial and fungal symbioses. Science 303: 1361-1364. Ni, L., et al. (2018). Abscisic acid inhibits rice protein phosphatase PP45 via H2O2 and relieves repression of the Ca2+/CaM-dependent protein kinase OsDMI3. Plant Cell. Published Dec 2018. 10.1105/tpc.18.00506. Shi, B., Ni, L., Zhang, A., Cao, J., Zhang, H., Qin, T., Tan, M., Zhang, J., and Jiang, M. (2012). OsDMI3 is a novel component of abscisic acid signaling in the induction of antioxidant defense in leaves of rice. Mol. Plant 5: 1359–1374.